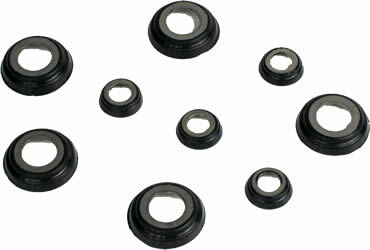 FK Bearings offers a full line of complementary accessory products. These products serve to help complete your overall system design as well as enhance the performance of rod ends and spherical bearings in your application. Seals, boots, jam nuts, misalignment spacers, weldable tube ends, bearing cups, clevises and rod eyes in a wide range of sizes are among the accessories available from FK. 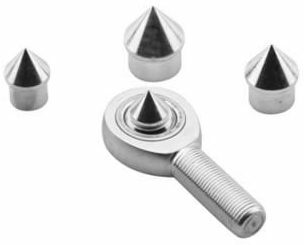 Low carbon steel, swaged stud retention with dirt shield. Imported. Typical uses are light duty linkages for lawn and garden equipment, snow blower controls, throttle linkages, and other light duty linkage applications. Low carbon steel, zinc plated with yellow chromate. 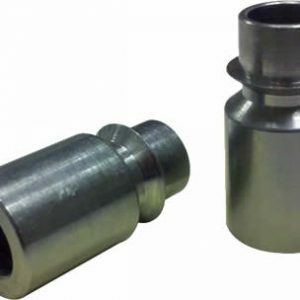 Straight bore rod ends with no misaligning ball component are used for simple linkage applications requiring good load capability without excessive misalignment. Available in bore sizes of ½", 5/8", and ¾" with several thread sizes and thread lengths. Low carbon steel, zinc plated with yellow chromate. 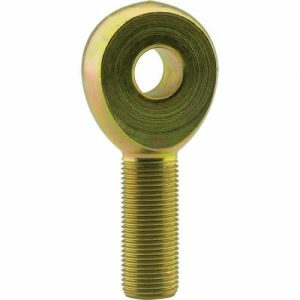 Six sizes available with bores of 3/8", ½", and 11/16" and threads of 5/8-18, ½-20, and ¾-16. FK Bearings HB Series 17-4 Stainless Steel high misalignment bushings increase the achievable misalignment angle and reduce the bore size of rod ends and spherical plain bearings. Sold in pairs. 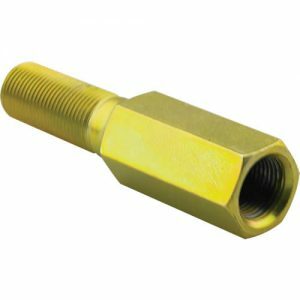 Low carbon steel, zinc plated with yellow chromate. Make your own turnbuckle linkage with ¾" (Size 12) male and female rod ends. 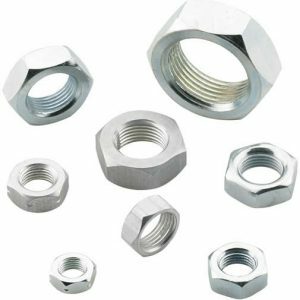 Jam nuts are available in Inch and Metric size, right-hand and left-hand thread. Inch sizes available from 10-32 through ¾-16, and Metric sizes from M5 through M20. Sold in packs of 25 through inch size 12, and in packs of 10 for inch sizes 14-16. All metric jam nuts sold in packs of 25. 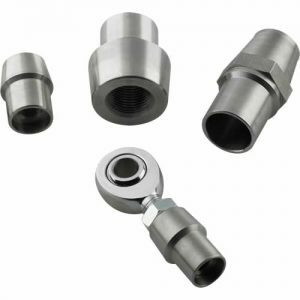 Center finders are used to find or establish the length between two connecting rods. Sold in pairs. 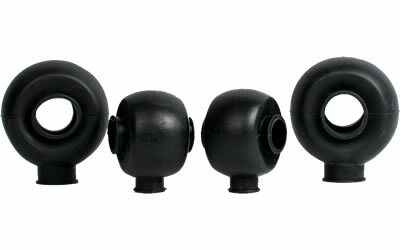 Protect rod ends in your application with FK RERS Series boots. 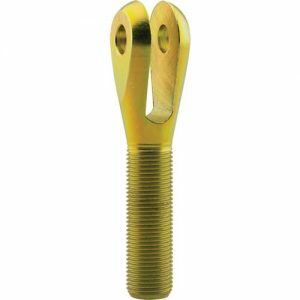 These boots completely enclose the head portion of the rod end, and are held in place by the mounting bolt. Sold in packages of six of the same size. Variety packs not available. FK Bearings WS Series face seals are designed to fit over the exposed portion of the rod end ball to protect against dirt and moisture. Sold in packs of 6, enough for 3 rod ends. Available for rod end sizes 3 - 16. FK Bearings weldable tube ends are made from 4130 chrome moly steel, with internal right-hand and left-hand thread sizes from 10-32 through 1 ¼-12. Designed for popular tube bores and wall thicknesses. See product detail page for more details.